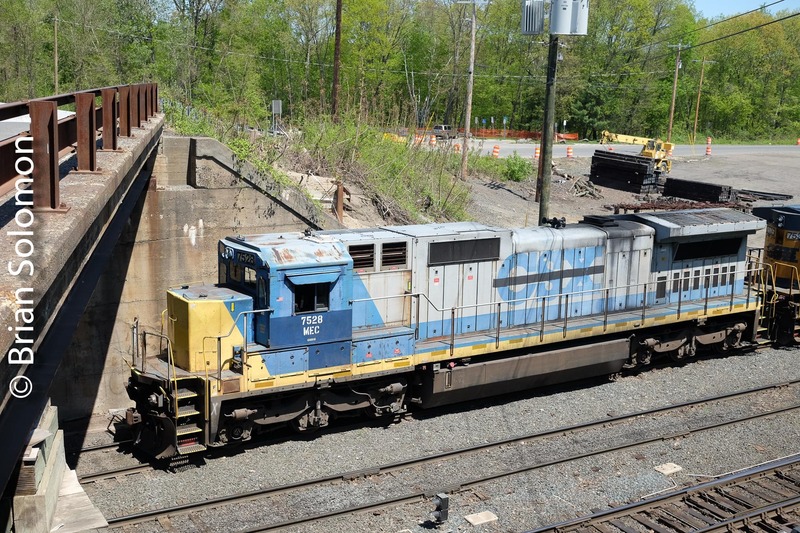 Railfan’s Bridge East Deerfield: Old Bridge/New Bridge and some Bad News. 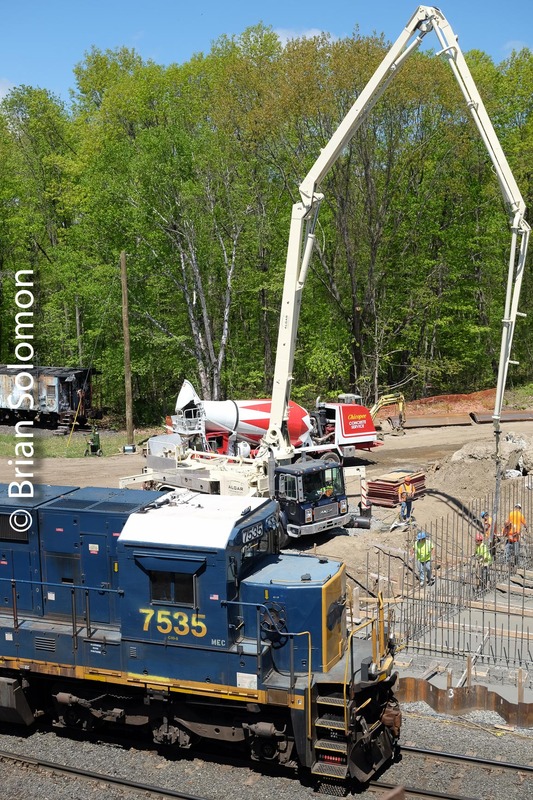 Construction crews are working on the approaches to the new McClelland Farm Road bridge over the tracks at the west end of Pan Am’s East Deerfield Yard. This work has been on-going for about a year.As detailed in previous posts, the old bridge has been a popular place for photographers for many years and countless images have been exposed from this vantage point. 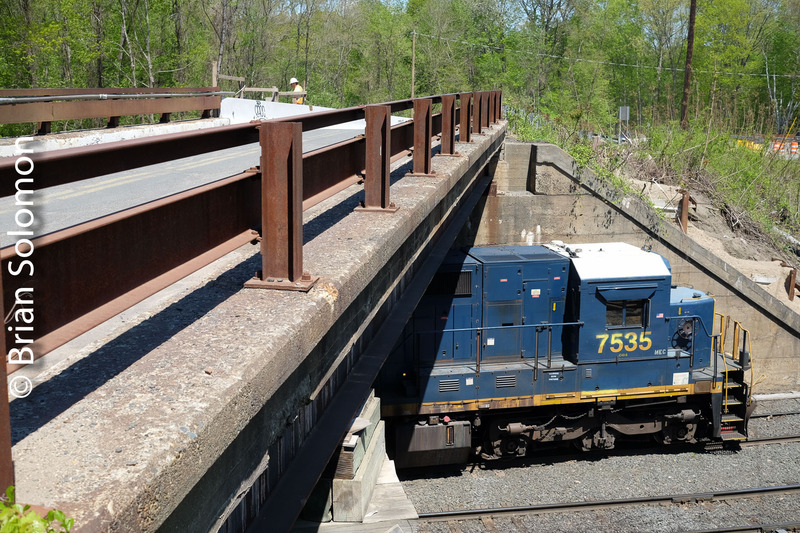 See: Railfan’s Bridge at East Deerfield—my First Farewell. The new bridge is being built immediately to the west of the old bridge, and once it is complete and fully open to traffic, the old bridge will be removed. The view west from the old McClelland Farm Road bridge. Pan Am GE’s wearing tired CSX paint pass construction crews working on approaches for the new McClelland Farm Road bridge. The old McClelland Farm Road Bridge at East Deerfield. Now for some bad news: in conjunction with bridge construction, the above ground electrical line has been relocated and is now carried across the tracks on a new pole-line located to the east of the bridges. The new pole line can be seen here on the right crossing over the tracks. To the uninitiated this may seem innocuous but in fact it poses an obstruction that may make views of the yard from the new bridge difficult to achieve without heavy cables running right through the middle of the image. This obstruction poses a new challenge for photographers making photos of the yard and depending on the height of the new bridge mayruin the classic view. I exposed these views of former CSX DASH8-40Cs leased to Pan Am that had just arrived on road freight POED from Portland, Maine. Photos made with a FujiFilm X-T1 with 27mm pancake lens. 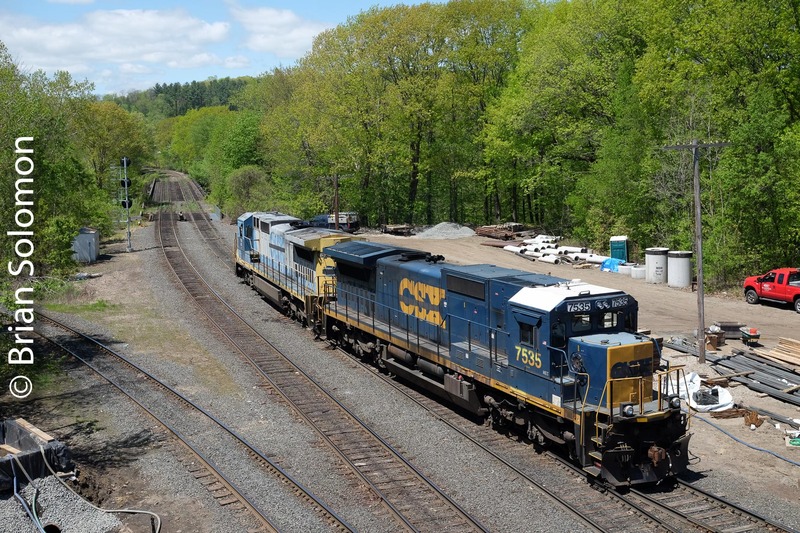 Previous PostMedium Clear at Greenfield, Massachusetts.Next PostEast Deerfield West: Providence & Worcester 2009 leads the Plainville Job. It is a perfectly (bad) placement for photos . We had seen the new routing about 3 weeks ago. East Deerfield has changed for sure . I heard speculation about there being a chain link fence with cut outs for viewing / photos . Sounds like there will be some competition for these spots . Others have said that they heard no high fencing . Rumors abound !